If you’re an anti-piracy group (or belong to any government department) then the best way to get your message across to a wide range of audience is to launch publicity campaigns. More like, big publicity campaigns. Moreover, your big publicity campaigns should be able to target all forms of media, offline and online. And let’s not forget, the main category of people you want to target should be the paying cinemagoers. If you haven’t figured it by now, then know that this is exactly the type of plan the MPAA executed back in 2004. Did it work? Well, read on because it is complicated. The MPAA warned people who engaged in torrenting that it was impossible for anyone to stay completely anonymous online. So why are we dwelling on this right now? Well, it turns out, some people believe that the people behind the MPAA must be hiding in the corner of their office rooms while the pirates, openly, prepare for the upcoming and rather unlucky 13 years since the failed mass publicity campaign. Needless to say, pirates have gone on and done their business with relentlessness. Piracy websites have increased in numbers year after year since 2004 and right now, no one really knows how many piracy websites are operating on the web in 2017. Not that any of us cares right? Who uses piracy websites nowadays since KickAssTorrent and TorrentHound have been wiped off the map. Officially at least. Back towards the beginning of this century, that is the 2000, when companies like Napster were starting to pop up left and right (then got burned too) a huge percentage of people who had access to a thing called internet turned their attention towards the possibilities that were on offer as a result of internet file sharing activities. It should be quite obvious as to who was, seemingly, the biggest loser in the age of the internet where people who had access to the online world had no government to worry about and could do whatever they want whenever they want without thinking about any repercussions. In other words, people who had access to the internet could download copyrighted content off of piracy websites without paying a single dollar or taking prior permission from the creators of that copyrighted content. Anyway, the biggest (presumed) loser was the music industry. It is true that the music industry was basically perplexed and confused because of the internet granting people the unexpected and unapproved access to copyrighted content in the form of digital media. The likes of MPAA has started to see some success for all their hard work. The most popular platforms, back then, were KaZaA and BitTorrent. Well, to be accurate, KaZaA came first and saw but could not conquer. The monster that did conquer the online piracy market and has been reigning over it ever since was BitTorrent. BitTorrent was probably the sole reason because of which Hollywood worried for the future of its existence. Fast forward to 2004 from the beginning of 2000 and the world witnessed hundreds of thousands if not millions of people getting connected to the internet and then frequenting public and privacy piracy websites known, in the industry of online piracy, as torrent websites. It was long before Hollywood took notice and started thinking about taking some serious action after running out of patience. Some readers might think that torrent sites only started to get slaughtered by law enforcement agencies a few years ago, but the fact remains that the plan for taking down piracy websites that allowed users to download copyrighted content from the internet for free and without permission, had been put in place since the early part of 2004. Early plans to take down some of the largest piracy websites (most of which were United States based, truth be told) were formed by the MPAA (Motion Picture Association of America) along with other law enforcement agencies. And since nobody could have imagined how big the internet world would become come 2017, the MPAA thought it was best to start off their campaign against piracy and piracy websites by educating the end-user, the consumer. An organization known by the name of “Respect COpyrights, launched a massive campaign to stop people from engaging in activities. The campaign was multi-pronged, to say the least. Respect Copyrighted wanted to stop piracy through a multi-faceted approach and the beginning of the campaign saw the MPAA reaching out to the public in order to educate it on piracy and piracy websites. The MPAA explained, rather awkwardly by today’s standards, to the public what was copyright and why it was “bad” for them to download copyrighted stuff from the internet with paying the producers of that copyrighted content. Perhaps it should also be mentioned that the tone taken by the MPAA to deliver its message to the public was a bit old-fashioned if not outright useless. The MPAA said, back in 2004 (yes, it is important), that when some people heard the word “copyright” they would of a complicated legal term that did not apply to them. KickassTorrents is just one of the top torrent sites that have been taken down this year alone. It further added that wasn’t the case at all and in fact, copyrights touched all people and simply put, copyrights protected creativity (whatever that meant). No need to mention that today, almost everybody who has ever been on the internet (and preferably opened up a file sharing website) would understand the meaning of the term copyright. In fact, most people would actually know anything and everything that they should know about the term copyright. So the people have done their part: becoming more aware of copyright issues, how to stay away from them and how can the two industries co-exist (if at all). But the same can’t be said about the authorities that are still trying to persuade people to stop in any kind of piracy activities on piracy websites. Law enforcement agencies, along with the MPAA, are still using scare tactics that could not stop a nine-year-old even back in 2004. Nonetheless, these tactics are still employed and hence, law enforcement agencies along with anti-piracy groups have to experience the same result time after time again. If you ask Einstein, this is what he described as stupidity. Doing the same thing over and over again and expecting a different result. Check out this cool advertisement as a part of Respect Copyrights campaign in 2004. In the above advertisement, of sorts, the MPAA warns consumers by saying that if anyone used peer-to-peer file sharing services, they were almost certainly exposing their computer to harmful viruses, worms, Trojan horses, and annoying popups and not only that, they were also inviting strangers to access their private information. 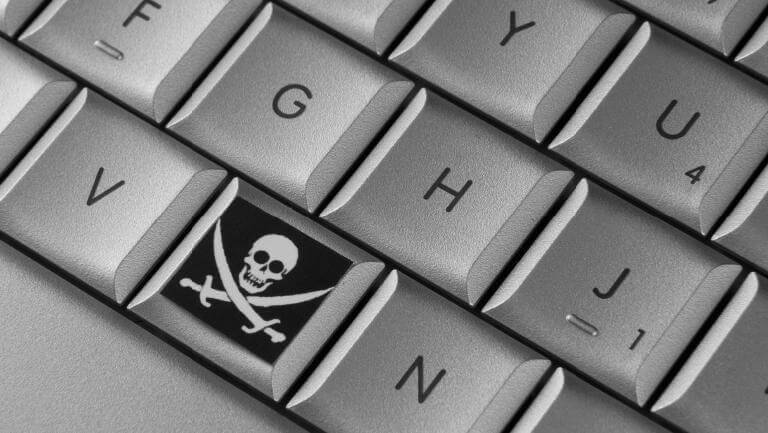 The statement from the “big publicity campaign” also said that people who engaged in online piracy through piracy websites also made it pretty easy for law enforcement agents to track them as well. Most of the people who have ever downloaded something off the internet through torrent sites and piracy websites already know that nothing of what was mentioned by the MPAA in the 2004 statement is true. It wasn’t even true back in 2004 and 2005. Nevertheless, MPAA was determined to drive home the point that downloading files through techniques such as online file sharing and others were not without risks. Mainly that, people who engaged in such activities were never anonymous and that law enforcement agents would eventually catch them and then punish them. Wasn’t the most well-received ad campaign of all time. But that wasn’t the only thing the campaign was about. As mentioned earlier in the article, the campaign had a much larger agenda. The MPAA’s public awareness campaign was just one of the ways Hollywood tried to keep people away from downloading copyrighted content from the internet for free. Hollywood also launched a mini project which was aimed at online file sharers. The message was simple and clear. Anyone who downloaded any copyrighted content from the internet without prior permission from the creator of that copyrighted content had no privacy. The idea that the internet was an unsafe place to download stuff was exactly what Hollywood along with MPAA wanted people to believe. And this idea was the reason why the ‘You Can Click But You Can’t Hide” mass campaign was launched. The campaign slogan appeared all over the media. It got a significant boost by taking inspiration from comments made by legendary boxer Joe Louis who is still widely considered to be the greatest heavyweight boxer of all time behind Muhammad Ali. It is another fact that Joe Louis’ inspirational comments were made in 1946 and weren’t even remotely related to piracy. The comments were derived from Jose Louis’s answer about a question related to one of his then upcoming fights against a strong opponent Billy Conn’s. To put it another way, Joe Louis did not like the tactics used by Billy Conn’s to evade his opponents. He called those tactics “hit and run”. Louis basically said that Billy might be able to get away from his punching power by running but he had no chance to hide throughout the duration of the whole match. 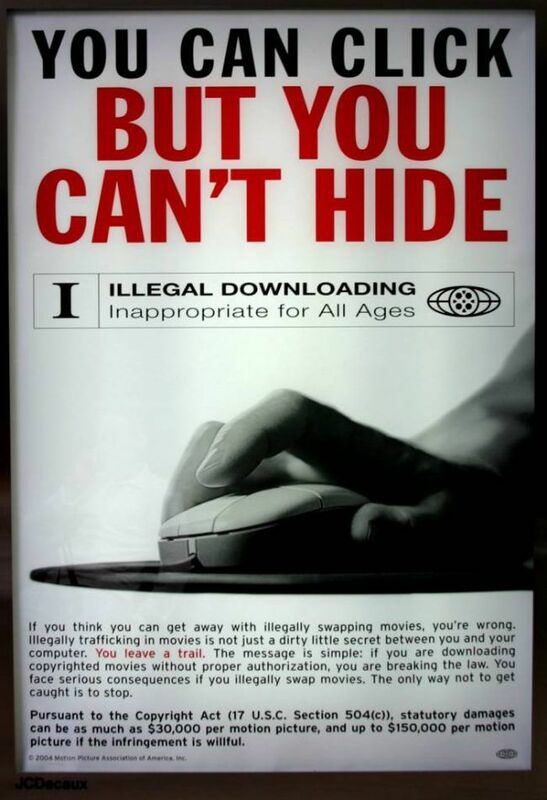 Similarly, the MPAA hoped the same message would get across file sharers who engaged in piracy. As indicated earlier in the article as well, the campaign had multiple phases. One of the phases which were launched after the marketing of “You Can Click But You Can’t Hide” slogan, was aimed at young people who consumed their media from home. The MPAA figured that a campaign which was specifically targeted at young folk who watched movies primarily by sitting on their couches or lying in their bedrooms would be more effective. Not to mention that the MPAA also went after students who studied in the United States and outside. What Did The Campaign Warn Against? Since the campaign was launched in 2004 and 2005 and people really didn’t really know how to validate anything that was thrown at them by the MPAA, the MPAA took full advantage of that fact and started saying things like of course people could download movies from file sharing websites and network but they (law enforcement agencies) could see everything the people did. Naturally, the “You Can Click But You Can’t Hide” campaign didn’t do much to benefit the likes of Hollywood and the MPAA. In fact, that is a gross understatement. The campaign failed miserably. There was hardly any section of the general population that received the campaign with good intentions. Nevertheless, the campaign still tried to persuade the gullible by adding inflammatory terms to explain file sharing. Terms like “trafficking” were used as the MPAA tried, in vain rather if we look at the current state of piracy and piracy websites (in 2017 that is), to convince the ordinary citizen of the general public that taking part in anything that involved transmitting and sharing a copyrighted piece of content such as a movie, even a single one the campaign said, was punishable by law with a fine of $150,000. To further plant the message into the minds of moviegoers, the campaign (along with all its messages) was also run in the form of an advertisement in cinemas just before the main movie started. Consequently, the MPAA was able to target paying customers by default in a similar way to the FBI that shows a warning message before the start of Blu-rays and official DVDs. Perhaps most of our readers would associate the use of MPAA’s campaign Logo and message with what they saw on various piracy websites which had been taken out by the likes of FBI and the MPAA during the years 2004 and 2005. And, among those, the best example (which was an early one rather) was of LokiTorrent that had appeared onto the torrenting scene in 2005 and was promptly shut down by the MPAA. The site’s administrator, who was a 28-year-old, Ed Webber sent his message out to a total of 700,000 users that he would use all his resources to battle Hollywood’s lawsuit. Shortly afterward, he was able to accept around $43,000 as help for his legal proceedings in the form of donations. That amount didn’t last long. In fact, some reports even suggested that the money disappeared into MPAA’s coffers but of course, most of that is just, or mere, speculation. 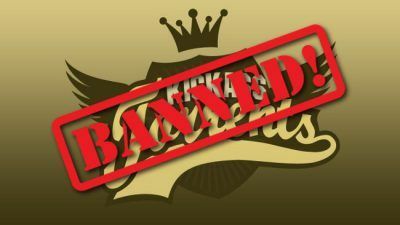 It is safe to assume that the donors and other users of the banned piracy site did not have problems in staying anonymous and away from law enforcement agencies. Torrent Site Gets Deleted, But Does This Affect Box Office Revenue?